One of the biggest changes to the mortgage finance industry in recent years is the background screening that lenders and title companies now require for Notary Signing Agents. Many Signing Agents have asked why this screening is required in order to perform loan document signing assignments. 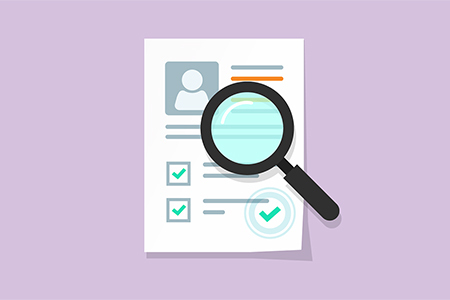 In this article, we’ll answer some of your most common questions about background screenings. 1. Why do lenders and title companies ask Notary Signing Agents to obtain background checks? The Consumer Financial Protection Bureau, a federal regulatory agency founded to address widespread mortgage industry fraud, requires lenders to follow strict standards when handling sensitive private consumer information — including borrower information on loan documents. These standards apply to bank employees, contractors and third-party vendors that work with lenders. To meet CFPB standards, most banks and title companies ask Notary Signing Agents to provide proof they have passed a rigorous background screening that meets the lender’s standards. 2. Why are lenders so focused on making sure Notary Signing Agents pass a background check? Signing Agents aren’t regular employees. They are independent agents providing an important function for loan signings. Unlike regular bank or title company employees, NSAs are trusted with traveling to a signer’s home with no direct supervision. Once there, the Signing Agent ensures that the loan documents are properly signed and notarized, and is entrusted with the completed documents and making sure they are delivered to their destination afterward. Because these duties are so important, lenders and title companies want to protect their customers as much as possible by verifying that any Signing Agents who interact with customers and handle the customer’s private information are trustworthy and safe and protect borrowers from dishonest Notary Signing Agents. 3. Aren’t all Notaries already background screened when they apply for their commissions? No, this is a common misconception about background checks. In fact, fewer than one-fourth of all states perform any kind of background check on their Notary commission applicants. 4. Some states — like California — do require Notaries to undergo a background check and fingerprinting. Why do I need another one?? There are a couple of reasons why lenders and title companies can’t accept the state-mandated background check for Notaries from regions such as California. First, state background checks for Notary commissions only screen for convictions that disqualify one from a Notary commission, usually just felonies. But lenders and title companies believe it is also important to check for serious misdemeanors and infractions such as driving violations as part of their background screening requirements for Signing Agents. Second, the Notary background screening records in states such as California are only available to state officials for review. States do not provide background reports on Notaries to financial industry companies. While title companies and third party vendors are not regulated by the CFPB, their contracts obligate them to comply with the requirements imposed on lenders. As a result, the lender or title company must be able to show documentation that the Notary Signing Agent passed a check that complies with CFPB consumer protection standards. That’s why many companies ask Signing Agents to obtain an updated screening every 12 months. Even states that run background checks for Notary applicants only do so once during each commission period. 5. If I get a background check, can the background screening provider share the results with anyone who asks for it? No. Background screening results are only provided to the Signing Agent. Signing agents can share them with whomever they choose, and businesses that receive them must follow strict rules regarding the security and sharing of the background screening information.